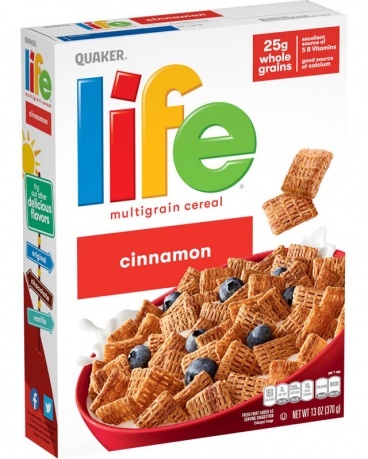 American Cereal in the U.K. 370g Box of Life Cinnamon Cereal. 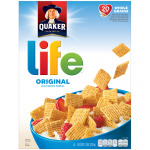 You don't have to be a kid to love the sweet and crunchy goodness of Life cereal, and you don't have to be a grown-up to benefit from the whole grain Quaker Oats baked inside each square. Wholesome with just the right touch of sweetness, Quaker Life Cereal is a healthy, delicious choice for everyone. 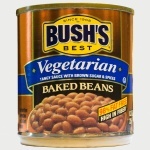 Excellent source of B-vitamins to help convert food into energy . 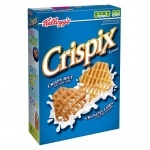 Whole Grain Oat Flour, Sugar, Corn Flour, Whole Wheat Flour, Rice Flour, Calcium Carbonate, Salt, Cinnamon, Disodium Phosphate, Caramel Color, Reduced Iron, Niacinamide (One of the B Vitamins)Zinc Oxide, Dextrin, E110**, BHT (a Preservative)E102, E129**, Produced from genetically modified maize. **May have an adverse effect on activity & attention in children.